Ear infections are infections that take place inside or outside the ear. The infections lead to pains in the ear. There is a small tube called Eustachian that joins the ear and the nose. When there is a blockage in this tube the pressure in the ear rises as moisture is not passed from the nose to the ear leading to ear pain. Ear ache is felt more at night than in the day time. A person may feel ear ache due to bacteria or fungal infections or during winters. It is a common ailment among children. Excess of fluid or ear wax in the ear. Bacterial or fungal infections in the ear. When you hear loud sounds around you. Severe air pressure in the ear. An easy and quick remedy is to wet a piece of cloth in hot water, drain the excess water from it and put this cloth near your ear. The hot cloth will enhance the circulation in the ear and will relieve the earSudden infant death syndrome (SIDS)pain. Include Vitamin C in your daily diet as this builds immunity against infections. An effective home remedy is to make juice of an onion and warm it. Now put two-three drops in the ears. This will reduce the pain in the ears. Another easy and quick remedy is to warm little mustard (sarson) oil and put 2-3 drops in the ears. This is an effective remedy to reduce the ear ache. Crush 2-3 cloves of garlic to make garlic juice. Put this juice in both the ears. Garlic is a natural and good home remedy as garlic works as an antibiotic. Garlic juice will reduce the pain in the ears. Olive oil is also a useful oil to relieve you from ear pains. Warm the olive oil and put few drops in the affected ear, this is an effective home remedy as it will clean away all the wax in the ear. Take 2-3 teaspoons of mustard (sarson) oil in a small pan and put 2-3 cloves of garlic. Now heat this oil till it turns black. Allow it to cool down for some time. Now put two-three drops in the ears. This will give you some relief from pain. When you experience ear pains, have warm vegetable soups. This will be helpful. To cure ear ache, take some mango leaves and crush them and extract the juice. Warm this juice and put 2-3 drops in the ears. This will release the pain. Take about ½ a cup of salt and heat it in a microwave about 1-2 mins till it is hot. Now put this hot salt in a cloth and wrap it up or you can also use socks. Put this cloth near the ear. These act like a heating pad and will not only reduce the pain but will also reduce the swelling. A good and effective remedy is to make a paste of few basil leaves (tulsi). Now warm this paste and allow it to cool down to normal room temperature. Now put 3-4 drops in the ears to relieve you from ear pain. A quick remedy is to warm some ajwain oil and add sesame (til) oil. The ratio should be 1:3. Warm this oil and put few drops in both the ears. Ajwain has natural ingredients and works best for ear pains. In a teaspoon of sesame (til) oil add ½ garlic clove. Warm this oil. Now lie down and put 3-4 drops of this oil in the one ear and lie on the same side for about 10-15 mins. Now turn to the other side and put 3-4 drops of oil in the other ear and lie down for another 10-15 mins. 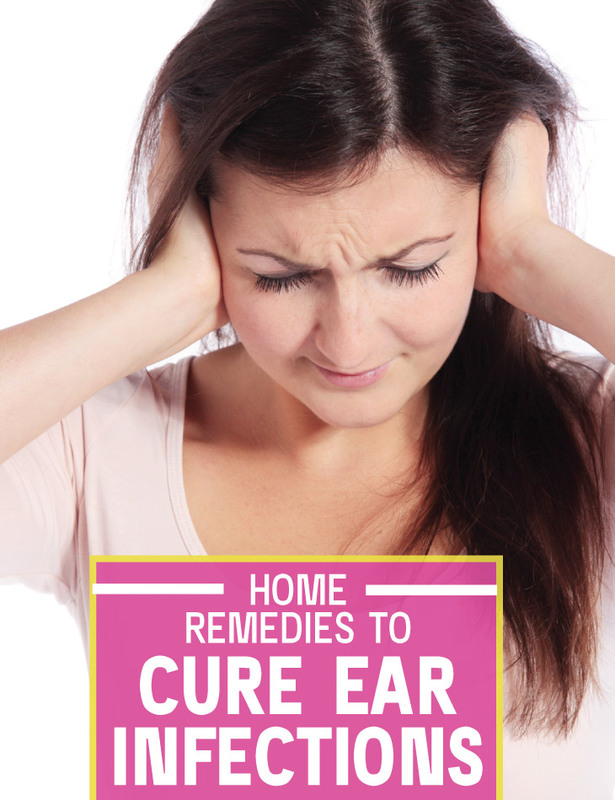 This is a very useful remedy to cure ear aches. In a small bowl take three drops of tea tree oil, two drops of lavender oil, two drops of chamomile oil and one drop of almond carrier oil. Mix all these oil and warm them. Put this oil in the ears (about 2-3 drops). For faster recovery put this oil two-three times in a day. Add fenugreek seeds (meethi) to mustard (sarson) oil and warm this oil. Putting few drops of this oil in the ears will release the pain in the ears. While having an ear ache avoid using ear buds, pins or fingers in the ear. This will only increase the pain and you may be infected further. If you are experiencing ear pains during winters or when you have caught a cold, it is best advised to wear a scarf around your face as this will prevent the cold wind from entering the ears. Make sure you clean your ears daily. Cleaning the ears from inside and outside will not lead to pains or infections. If your ear pain is severe and extremely unbearable it is best to consult a doctor at the earliest.